*Affiliate links may be present, If you make a purchase through a link, I receive a small commission that helps support the blog at no additional cost to you. 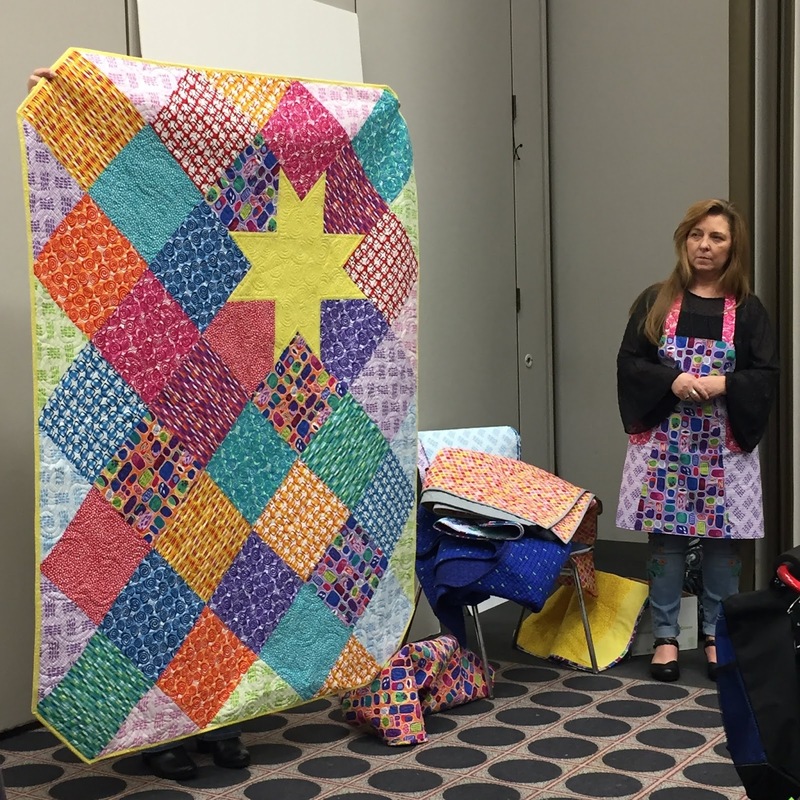 I'm a long time follower of Christa Quilts and have had the pleasure of meeting Christa Watson several times at Quilt Market. She's is as talented as she is humble and genuine. I am grateful for her savvy industry advice and generosity in uplifting fellow designers. As a Bluprint (formally known as Craftsy) instructor, established pattern designer, Bernina Ambassador, Quilt Con faculty member, and designer of multiple Contempo/Benartex fabric collections; it would be understandable for her to own an air of superiority, but that's the very antithesis of Christa. She can be found taking time to chat with customers in between a jam-packed Schoolhouse schedule, making introductions between industry professionals who have previously only interacted online, and asking other designers about their goals with a genuine desire to help. Christa's Abstract Garden collection is a riotous parade of modern color and shapes. The yo-yos in the Mod Garden Pillow by The Quilt District certainly highlight this fact. 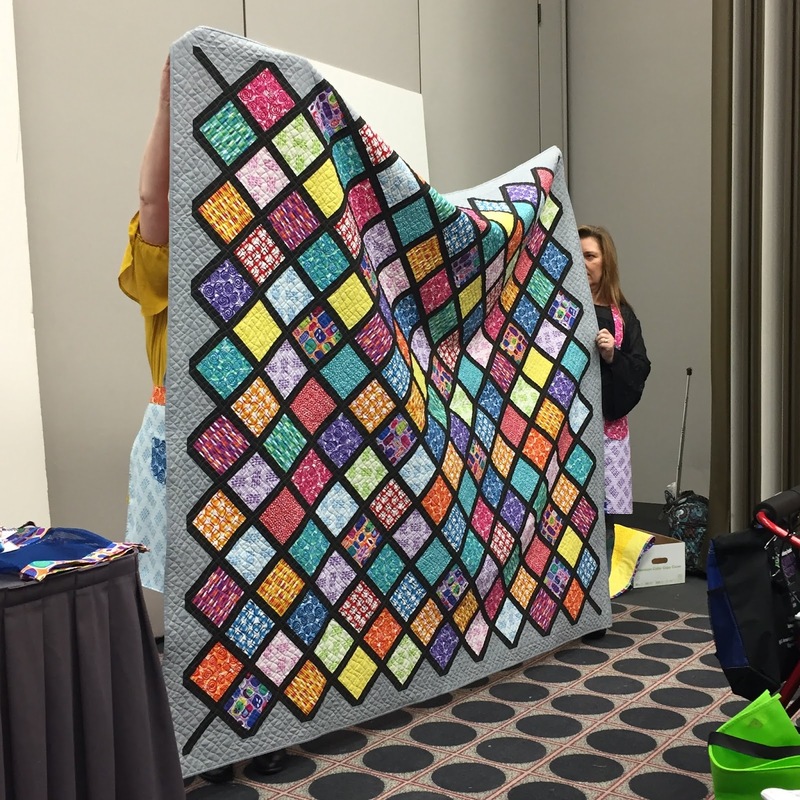 I recognized the Lattice Work Quilt (PDF pattern here.) above from the Schoolhouse session I had with Christa. For that matter, Pieced Primrose, a foundation paper-pieced pattern with 2 size options (PDF pattern here.) also made a reappearance. As for the booth, panning further right revealed Blooming Wallflowers (PDF pattern here.) and Pieced Primrose, (PDF pattern here.) Mod Dog from Colourwerx hides below the quilts. Geese in the Garden (PDF here.) is a new pattern from Christa with three size options that features diamonds without need for a specialty ruler. All you need is a regular acrylic ruler with a 45 degree angle marking. 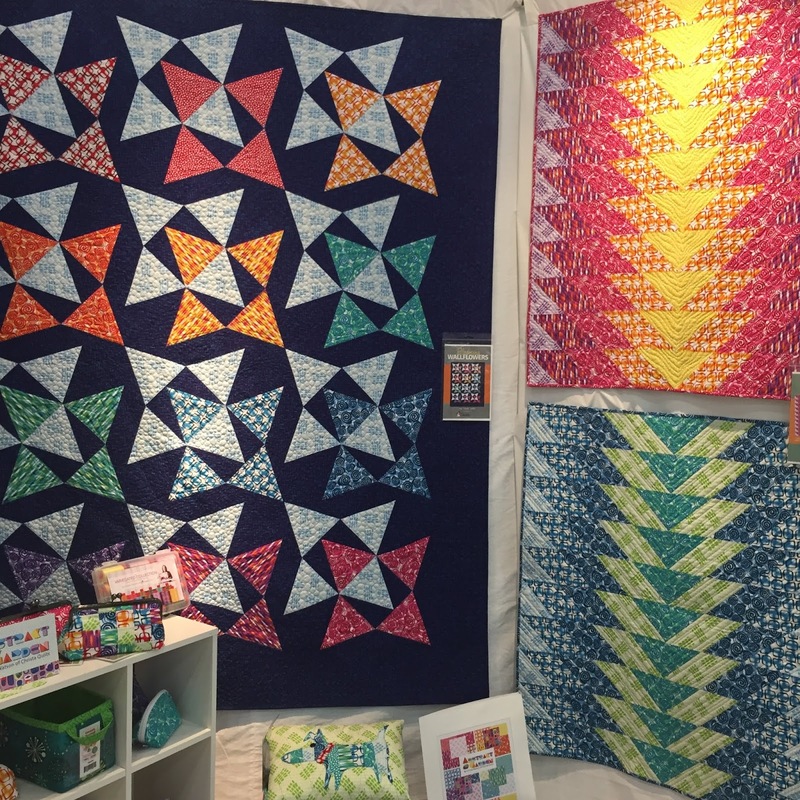 Like many of her patterns, she includes two possible colorways, clear diagrams, and quilting suggestions. 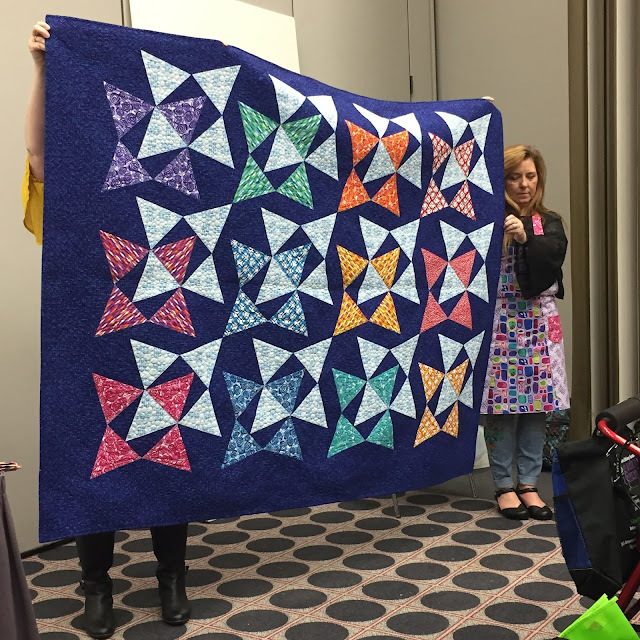 The A Star is Born pattern from The Stitch TV Show (PDF pattern here) shows off the fabric line and takes advantage of precut possibilities. Like seeing those I admire in person, such as Christa, interacting with all of you here and on Facebook and Instagram is a joy for me. It's pretty special to know there are those who are passionate about fabric and making beautiful things who take the time to hear my musings and be a friend from afar. In thanks, I have another giveaway below to share my treasures from Quit Market. I'm including a charm pack of Abstract Garden, a FQ from the collection, and Christa's Surplus Strips pattern. (PDF here.) 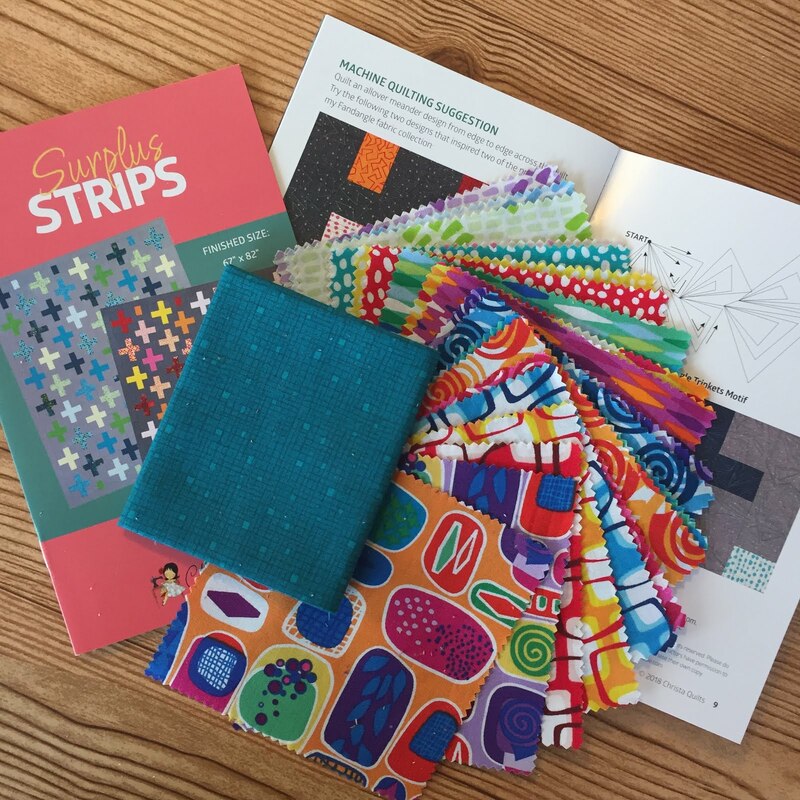 It's a full-color, glossy booklet with diagrams, multiple colorways illustrated, and even quilting suggestions. I love her colors and designs, always so happy. I follow her on Instagram. I love Christas designs. Her colors are wonderful. I started following Christa's blog quite a while ago so I don't remember how I first discovered it. I have followed Christa for a few years now. 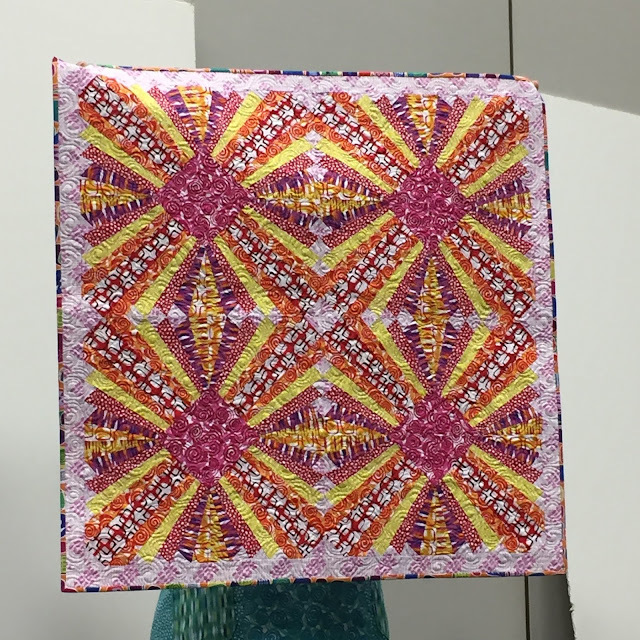 I started following her for her machine quilting and am now enjoying her move to fabric design. I've been reading Christa's blog for years, and have her first book. I was already aware of Christa. Can't recall when, but for quite a few years. I admire her patterns and her fabrics. Her instructions are always very clear.Thanks for showing us some of the lovelies from the booth. I see so many possibilities for Lattice Work. Would be a great way to show off a grouping of fabrics. Very fun write-up on a fabulous quilter! Thanks for the kind words! It was so fabulous to see you and chat at market :-) And now I'll try not to get a big head.... LOL!! 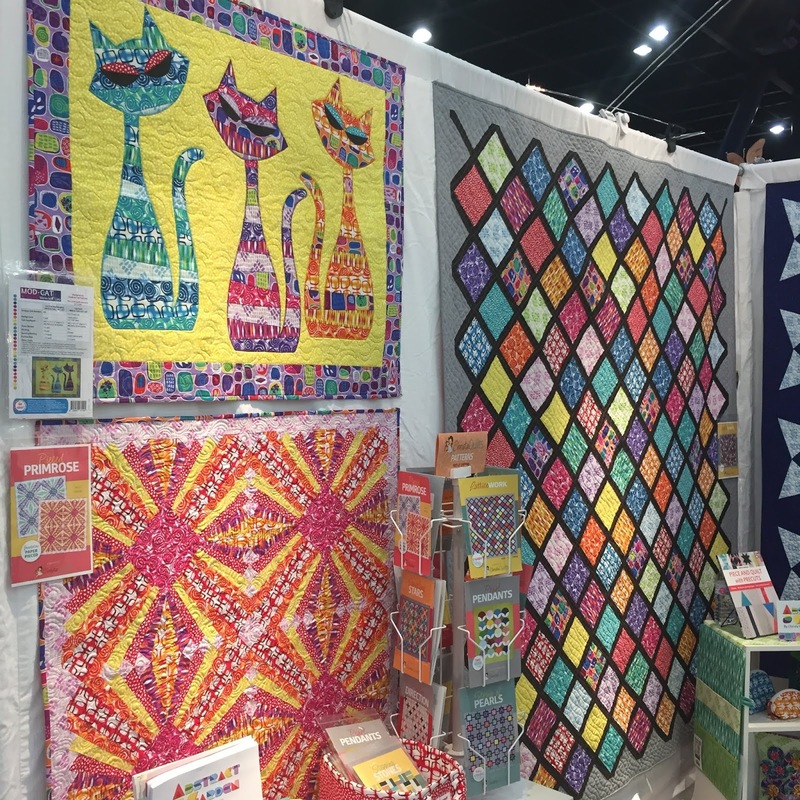 Thank you for the shout out on our ModCat Trio, Afton! Your Mod Garden Pillow is so cute! 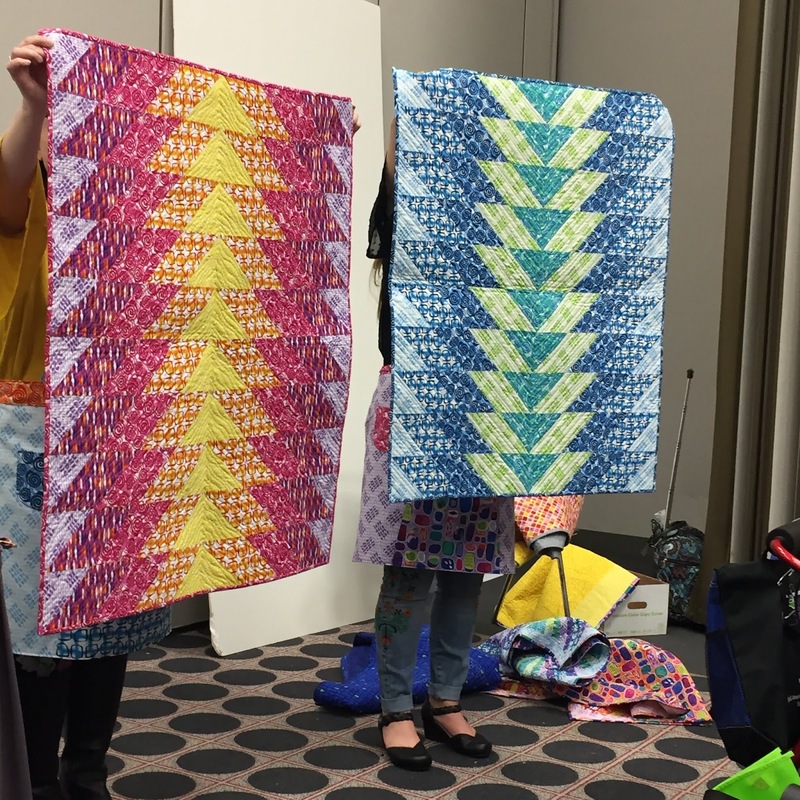 I wish I could have met both you and Christa at Fall Quilt Market - but there will always be Spring in Kansas City :-) Hope to see you there! 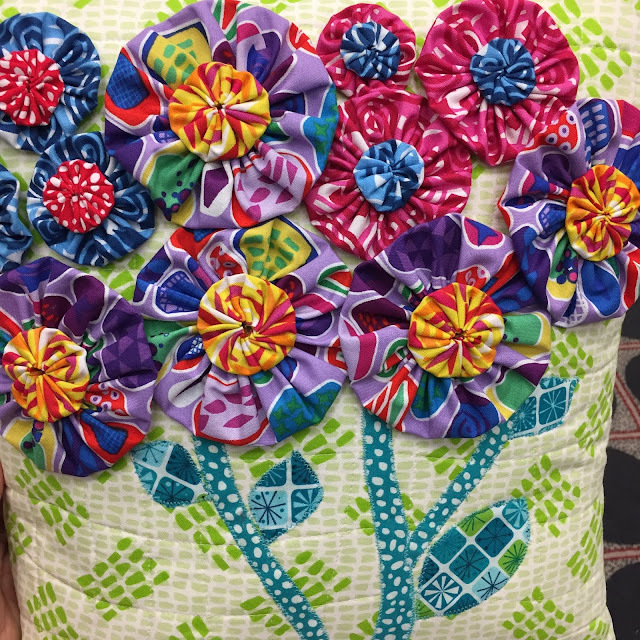 Thanks for showing off my Mod Garden pillow! It's always a pleasure to work with Christa and her fabrics. You've really highlighted them well here! Thanks for the chance to win this great fabric and pattern! Now I'm off to look at your "sewing room" board on Pinterest! All the fabrics are fabulous!